Written by Judith Stamps for Daily Hive. Judith is the author of Unthinking Modernity: Innis, McLuhan and the Frankfurt School, numerous journal articles, essays and letters to the editor, and served as editor of the quarterly journal, Cannabis Digest. Medical associations remain skeptical about the worthiness of cannabis as medicine, and Canada’s federal Liberals focus on mostly negative reasons for legalizing the plant, such as protecting youth and fighting the black market. Despite the lack of overt institutional support there are solid reasons to expect that, post-legalization, it may be medical use that will grow most in popularity. Cannabis has widespread, and longstanding precedent as medicine, while its status as an illegal drug has been brief. Pharmacopoeia listing cannabis have been found throughout the ancient world, and cannabis-based medicines were freely available in England and North America until the early 20th century. Demographics are in medical Cannabis’ favour. Canada has an increasing population of seniors, estimated to reach the 25% mark in 2036, with attendant age-related illnesses. Cannabis has proven helpful to many in this group, with fewer side effects than anti-inflammatories in common use. Veterans with PTSD, a growing population that garnishes much deserved sympathy, have come to embrace cannabis. They will continue to need guidance in choosing suitable strains. Client registrations for legal medical cannabis in Canada have grown from 23,000 in 2015, to almost 300,000 in 2017. There are many more informal consumers. Critics may suspect that these figures hide what is essentially recreational use, but dedicated practitioners in Canada see it otherwise. Let’s meet two of them. Contrary to rhetoric that portrays MDs and ‘Big Pharma’ as a self-serving unit, doctors hate prescribing drugs with dangerous side effects, and feel rewarded when they see their patients able to abandon them in favour of cannabis. 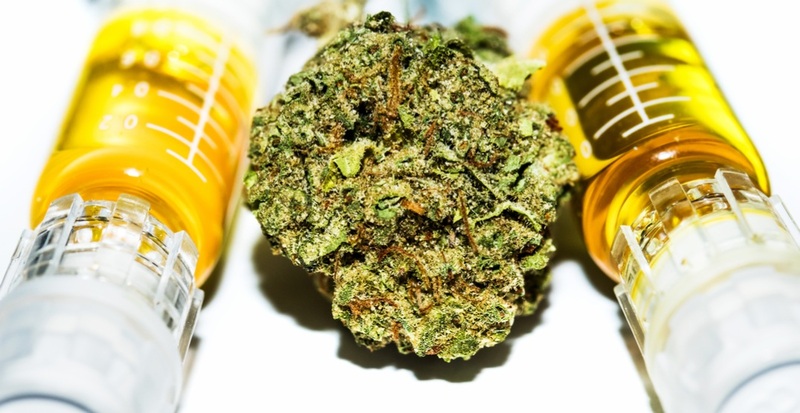 The movement for medical cannabis has become widely international, with no signs of slowing. It is now legal in 28 countries, and 30 US States. Medical results remain solid enough to convince a growing number of MDs in Canada to persist in learning about cannabis, and in guiding patients in its use. These patients will not dissolve into a grand solution of recreational use. Anyone with a medical condition will continue to need a doctor’s care. Everyone who has come to understand cannabis and the ECS is stepping up medical research. Finally, beyond those seeking recreation is an untapped customer base that suffers from garden-variety stress, inflammation, and insomnia. As legal cannabis begins to wear away decades of stigma, it should not surprise us if many turn to cannabinoids, seeking simply to feel better. As new formulas fill this need, they could prove to be legalization’s largest and most significant effect. Assisted by interviews with Dr. David Hepburn, Dr. Arnold Shoichet, and Dr. Jason Dyck. Dr. Hepburn became interested in cannabis in 2004, when, as a favour to a friend, he helped a patient gain access to cannabis through a Licensed Producer. The application form, then 33 pages in length, scared most doctors away. In 2013, he became one of a handful of Canadian doctors licensed by Health Canada to teach Continuing Medical Education classes on cannabis. Dr. Hepburn is author of The Doctor is In(sane), a comic, but serious romp through the requirements of healthy living; and has co-hosted a syndicated radio show called Wise Quacks. He is co-producing a documentary film on medical cannabis, to be released in 2019. Dr. Shoichet began prescribing cannabis for a few patients with neuropathic pain in 2005, and was impressed by how well it helped them to recover a good quality of life. In 2010, encouraged by renowned cannabis advocate, John Conroy, Q. C., he established a clinic dedicated to helping patients navigate the complex route to legal cannabis. From that time until his retirement in January 2018, his practice has focused exclusively on counseling patients on cannabis medicines. The clinic, the Medicinal Cannabis Resource Centre, Inc. is ongoing, with Dr. Shoichet as its medical director. During his years of practice, Shoichet saw over 1,500 patients hailing from Newfoundland to British Columbia. In 2013, Dr. Shoichet helped to establish Practitioners for Medical Cannabis, an online forum for doctors interested in exploring cannabis. PMC now has 150 members, including colleagues in Israel, Denmark, Germany and Brazil. Dr. Dyck is chief medical director of research at Aurora Cannabis, Inc.
Canada’s LPs remain dedicated to creating medicinal products. Aurora Cannabis, Inc., for example, plans to enhance its production in this area. The company has recently acquired CTT Pharmaceuticals, a firm that is developing an innovative, sub-lingual method of delivering cannabis medicine. Aurora also receives frequent emails from universities seeking funding for medical cannabis research projects; it responds typically by participating in kind (providing cannabis), or offering funds. Over a dozen are in progress. Plans are in store for LPs to co-operate in conducting large scale randomized trials.